We are Megan, Aaron and Claire – a family of three that finds living on the water to be a necessary way of life. We are currently cruising the Caribbean in our Bavaria 42 monohull, Clarity. We’ve been sailing as a couple for 10+ years, and Aaron’s been very active in the Chicago racing circuit as integral crew on S2 9.1s, Beneteau 40.7s, a Farr 47 and many others for more than a decade. 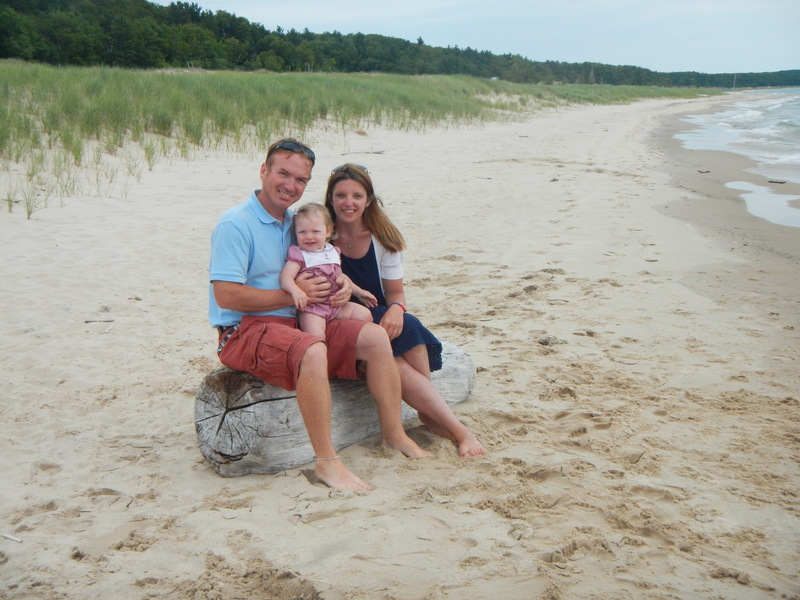 Claire got her first taste of the life aquatic when she was three months old (she’s now 6), and did her first Lake Michigan crossing over to South Haven, Mich., when she was just six months old. For three summers, we lived part-time on a Pearson 36-2 that was docked in 31st Street Harbor in Chicago until the end of October, when Midwest boaters hibernate for the winter. We spent the other half of the year at our condo in Oak Park, Ill.
Each summer, we’ve left for a little more than a month to cruise Lake Michigan. The first trip, we sailed as far north as Manistee, celebrating the 4th of July at the marina before heading back home. The next summer, we were even more aggressive and sailed all the way up to Beaver Island, Mich., just south of the Upper Peninsula. The seed for living the cruising lifestyle full-time was planted deeper and deeper each year, and really took root on our third cruise. We followed the Wisconsin side of Lake Michigan and made it all the way to Rock Island, a dot just north of the Door County peninsula. On these cruises, we experienced the highest of highs (and sometimes the lowest of lows); Aaron and I were a true team in marriage, parenthood and boat ownership. Also, Claire was in heaven, exploring and learning in leaps and bounds. When we docked back at 31st Street Harbor, Aaron and I looked at each other and decided, LET’S DO THIS. Let’s live this dream we’ve been considering (and in many ways, planning for) for years. So, we did it. Within a year, we sold our condo. We sold our cars. We sold most all of our belongings. We put our Pearson up for sale and bought our current home in southeastern Florida. In mid-July of 2016, we packed what was left in a rented van, drove across the country and moved on board full-time. So far, our crew of three has tackled the Bahamas, Turks and Caicos, the Dominican Republic, Puerto Rico and the Virgin Islands, and we are currently making our way down the Leeward Islands. How long do we plan to do this? Who knows! Until we stop having fun or the money runs out. I’ll be posting the good, the bad, the challenging, and pictures galore along the way. Thanks for reading!